Helps to keep you safe and legal as regards tyres, brakes, etc. For older vehicles, an intermediate service at 10,000 kilometres, which is a general check and oil change. An annual service at 20,000 kilometer intervals, which is a comprehensive check, an oil change, and can include the replacement of certain wearing items. A major service, at various intervals, which is an annual service with additional checks and possible component replacement. Full service for all models of Land Rovers including all new car service requirements. Options upgrade also discussed to recommend how to get the best out of the vehicle for the purpose it will be used for. New Land Rovers delivered to Australia are not set up for Australian conditions. This is especially true for Camber, Castor and Toe In. 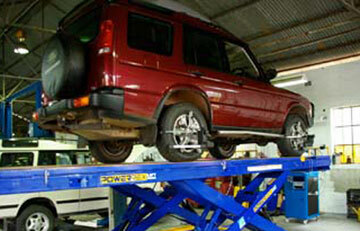 All new Land Rovers need to have a full wheel alignment to set the car up for Australian roads. 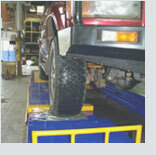 To this extent Davis Performance Landys has installed the latest wheel alignment and balancing system.